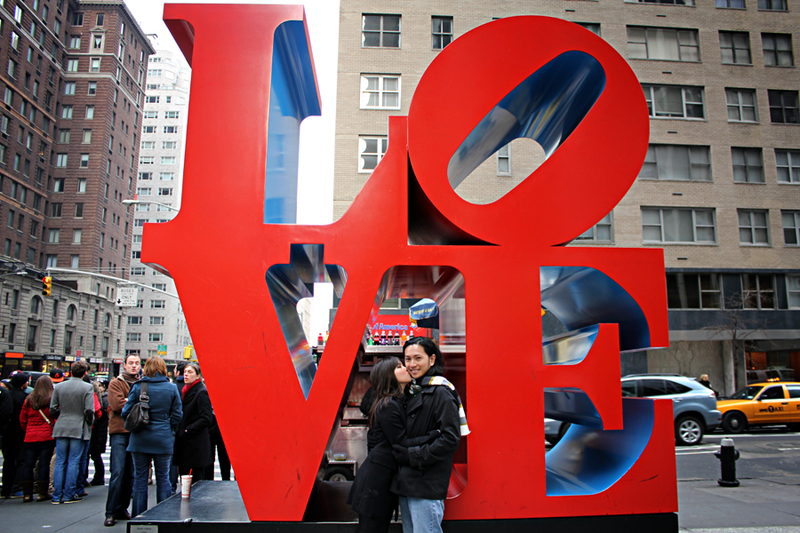 The LOVE Sculpture by American artist Robert Indiana was originally designed as a Christmas card for the Museum of Modern Art in 1964. It is now on 55th Street and 6th Avenue for everyone to enjoy. As simple as this structure is, it is a work of art and has been duplicated in pop culture many times. Ray and I just had to take a picture in front of this as a keepsake for one of New York City’s many attractions. Ever been to the LOVE Structure? Share a picture!